My vaccine memories are personal ones from my childhood. But these are colored from my years in biomedical research when protecting people from infectious diseases like hepatitis C and HIV was an unreachable goal. We still don’t have a vaccine for either virus. Have a look at the History of Vaccines site, from the College of Physicians of Philadelphia to see how far we have come with other vaccines, like measles. The summer before I began kindergarten, my sister stayed in bed for a long time, unable to move. I don’t know how many days or weeks it was, but we thought it would be for a long time, maybe forever. 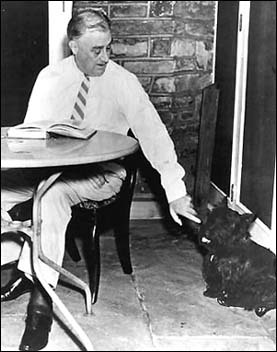 My mom said my sister had something like polio, and told me the story of our past president Franklin Roosevelt (shown with his dog Fala). He was paralyzed by the disease for life. This is how I came to know about polio. The word became terrifying. I thought, no one wants their sister to lie in bed unable to move, thinking their days will go on like that until the end. Not if they have a choice. Later the doctor identified my sister’s infection as a different virus – an echo virus, or one of the coxsackie viruses which can cause paralysis. We lived near the town of Coxsacki, in upstate New York, but as a child, I didn’t ever understand how that was related to her paralysis. In time, she recovered. She stood up, and with a lot of undivided attention from my mom, she got to walking around and was just like normal again. When I started public school, we got all our vaccinations there. I don’t remember getting any before that, though I must have when I was a baby, because all the information was filled out on my vaccination record card. I still have it. There may come a day when we have to show it, if we start regulating adult vaccination. I remember standing in a long line the day shots were given to all the school children. The floor was marble, the hallway was cold, the windows were cracked open, the air smelled of that strange particulate stuff they sprinkled over vomit in the public schools. I was small, maybe between five and seven, and silent as I could be, hoping to disappear. The public school nurse and a teacher’s aide loomed over us children as we trailed along toward the front of the line. I imagine that we were dragging our feet, and though no one was talking, I remember both girls and boys crying. No one wanted to get their shots, of course. I didn’t know which dread diseases the vaccination was to protect me from getting – we either didn’t talk about it, or it was not memorable. Later, at home, my mom told me the story of why a neighbor’s youngest son was slow, and deaf, and couldn’t speak in a way any of us could understand. It was because she had suffered from German measles while she was pregnant with her son, and the disease affected him that way as he was growing inside her. The neighbor was one of the school aides, and whenever I saw her, I thought of her son and German measles. But when I was in school, which was where we got all our shots, no doctor or nurse ever said anything I remembered about how vaccines kept me from catching viral or bacterial infections. We could change that. Children cried on the day we lined up for shots, afraid of needles I think. They baffled me. I had been sewing and knitting at home – or trying to – since I had been trying to write. So getting stuck with pins and needles while I was making doll clothes, aprons, and later my clothes, had become a kind of routine. And living near the woods where I spent much of my free time roaming around alone, running into things and falling over them, led to so many rips and tears in that fragile envelope of skin I had, that a little blood or a small scar didn’t bother me either. The vaccine shot was not a big deal for me, except for this: I didn’t know the man who was doing it. Who was he? Was he trustworthy? Did he care about us kids? I had no idea. I think that this kind of internal questioning may still part of the experience for children who get vaccinated today. Before entering junior high and high school, I had to show vaccination records, and again before college. By then, getting immunized to meet the requirements had become routine. It was something I understood. I had been given tetanus shots more times than I cared to think of after things like rusty metal punctures from exposed nails in abandoned country barns. 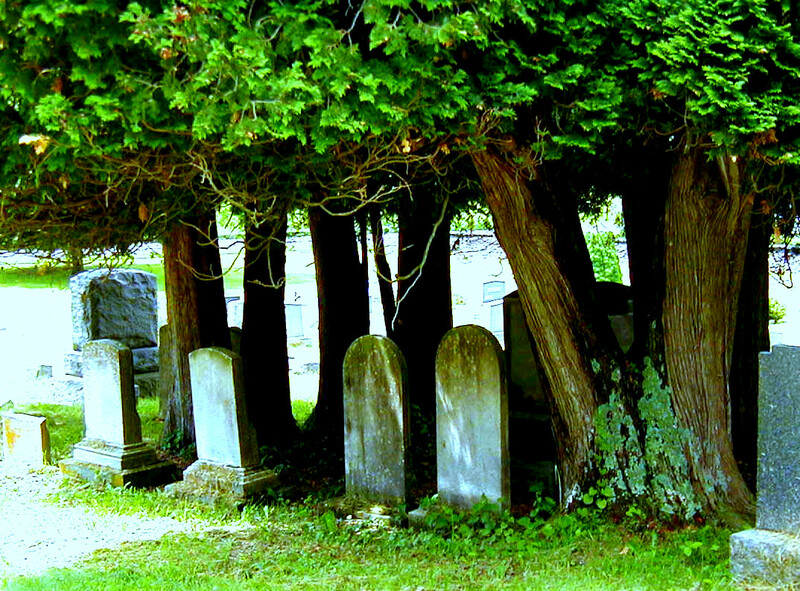 And from reading, I had learned about the unfathomable numbers who died from plagues of smallpox, measles, mumps, rubella, diphtheria, pertussis, and polio in history. I thought of the vaccines as helping keep me alive. While we didn’t have any individual choice about getting vaccinated, that didn’t seem to matter to me, my parents, or anyone I knew at the time. This has really changed. Now with the newer vaccines like HPV (human papilloma virus) and chicken pox, more of us question the safety and ask about the risks in addition to the protections the shots can give. When I started working with infectious diseases in science labs, vaccination for hepatitis B virus was required by OSHA, and still is. I thought of it as protection, and was eager to see my titers and know whether my antibodies had gotten up to the level needed to keep me safe. When each new person joined the lab, I asked them if they had their shots first before getting them involved with the hepatitis B viral cultures, infected cells, or animals I worked with there. One of our younger students hadn’t had her hepatitis B shots, and I told her to go get them before she started working. It caused a conflict with the lab head, who overheard me. He wanted her to go ahead and start, and said the vaccine wasn’t important. He physically dragged me into his office, closed the door on me, and yelled for a while about who was in control. I went to fill out a complaint for assault and for not following the OSHA regulations, at the school’s safety department. But the safety officer dismissed the scene without any action at all, giving me a stern warning, “politics is real.” I never figured that one out. But the memory is a raw reminder that we are not all in agreement about when vaccines are required, not even the people working in biomedical research who have strict regulations. Working with HIV virus and hepatitis C virus infected blood, and cells, or animals during my graduate school years and then post-doctoral fellowships, we had no such luck – there were no vaccines. I can’t even describe the level of fear that it strikes into the heart knowing that you are handling things like that. They are viruses that infect and kill too many of thousands of people every year. I would wear gloves, move the materials around carefully, wash my hands all the time, and sometimes bag up my clothes when I came home. I remember wishing we had vaccines for these viruses, too. I still do. Writer’s note: I write about laboratory research in my short stories in Death and the Dream, and about the effect HIV has on our lives in my novel Vector a Modern Love Story. Read more about my books at my official author site.